Intelligent tutoring systems are highly interactive learning environments that have been shown to improve upon typical classroom instruction. Cognitive Tutors are a type of intelligent tutor based on cognitive psychology theory of problem solving and learning. Cognitive Tutors provide a rich problem-solving environment with tutorial guidance in the form of step-by-step feedback, specific messages in response to common errors, and on-demand instructional hints. They also select problems based on individual student performance. The learning benefits of these forms of interactivity are supported, to varying extents, by a growing number of results from experimental studies. As Cognitive Tutors have matured and are being applied in new subject-matter areas, they have been used as a research platform and, particularly, to explore interactive methods to support metacognition. 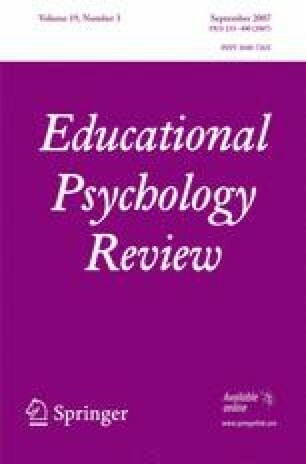 We review experiments with Cognitive Tutors that have compared different forms of interactivity and we reinterpret their results as partial answers to the general question: How should learning environments balance information or assistance giving and withholding to achieve optimal student learning? How best to achieve this balance remains a fundamental open problem in instructional science. We call this problem the “assistance dilemma” and emphasize the need for further science to yield specific conditions and parameters that indicate when and to what extent to use information giving versus information withholding forms of interaction. Morgan, P., & Ritter, S. (2002). An experimental study of the effects of Cognitive Tutor® Algebra I on student knowledge and attitude (Available from Carnegie Learning, Inc., 1200 Penn Avenue, Suite 150, Pittsburgh, PA 15222). Available at: http://www.carnegielearning.com. Shneyderman, A. (2001). Evaluation of the Cognitive Tutor Algebra I program, Miami-Dade County Public Schools, Office Of Evaluation And Research. Retrieved from: http://oer.dadeschools.net/algebra.pdf#search=%22Shneyderman%20miami%20cognitive%20tutor%22.